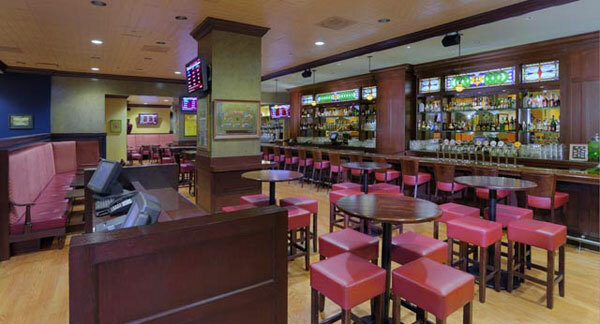 DeLeers Millwork is known for its high-quality architectural millwork projects, such as this bar. Investments in technology and process management have helped drive DeLeers Millwork to a new level of success. The multi-million dollar Green Bay, WI-based architectural woodwork firm’s implementation of lean manufacturing throughout the plant has significantly reduced work in process, while increasing quality and productivity. What once took 7.5 hours to flow through the shop, may now take only 1.5 hours. According to Tom DeLeers, Continuous Improvement manager, one example in which the company was able to streamline time in the manufacturing process was to have tool supply carts located at each workstation. “We’re working to be the best, and at the lowest cost — we want to leave no stone unturned,” he said. The company is FSC certified and works closely with architects and contractors to provide high-quality architectural millwork and casework to the contract furniture, healthcare, judicial, educational and financial institution markets. In addition to manufacturing with solid wood, DeLeers Millwork also incorporates veneer, laminate and occasionally decorative metals and stone in its construction. The company's slogan, “A closer fit. A better finish,” is accomplished by the use of high-tech equipment throughout the manufacturing process. Among the workhorses used at DeLeers are: a Biesse Rover 30 CNC point-to-point machining center, Anderson Andi CNC router, Giben CNC panel saw, Koch Sprint drilling and dowel insertion machine, a Weinig Profimat moulder, and custom knife grinding technology. DeLeers offers standard and custom finishes, including specialty finishes such as gold leaf. The company recently remodeled its finishing area, doubling the size and increasing the capabilities. The area now includes two spray booths, a Timesavers sander, Makor finishing system and a GFS oven, which DeLeers said has drastically reduced the company’s drying time. Watch a video of the CNC machining center.